Rome is a very livable city even in winter. The proximity of the Tyrrhenian Sea makes the climate mild. Warm sunny days are frequent even in the middle of winter with spring-like weather. There are a few days of cold temperatures, it rains rarely and snow is an even rarer event! As a result the scooter remains the way that Romans prefer for commuting even in the cold season, to avoid traffic and move smarter. 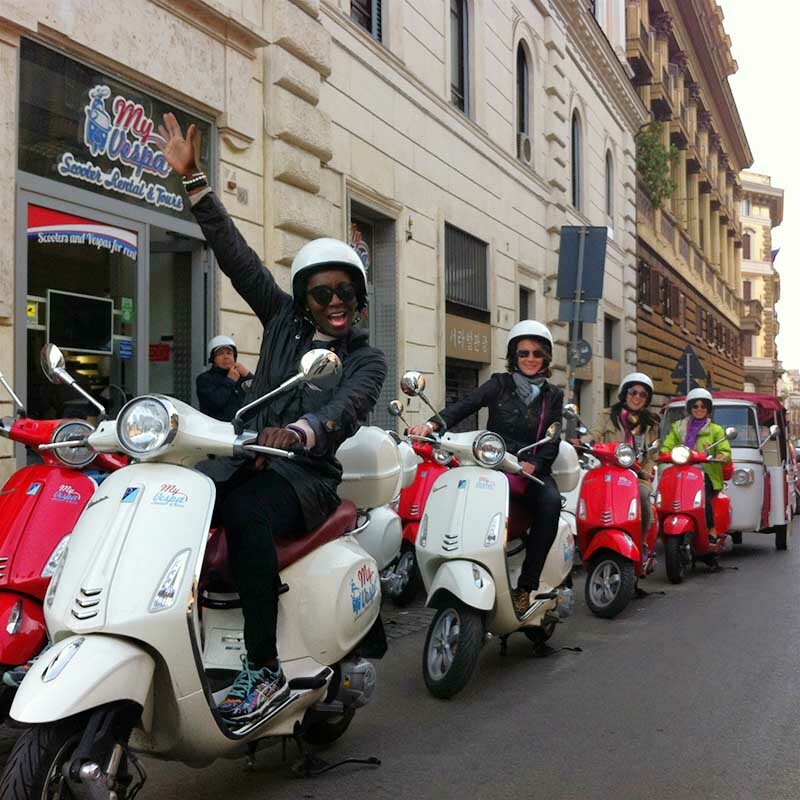 For the same reasons, Rome is an ideal city for a Vespa tour even during this time of the year. Why would anyone take a winter tour? To perceive smells completely different from those of the warm months and to enjoy fascinating lights and colors full of unique shades. For the clear air that allows us to admire the Baroque domes surrounded by the crown of nearby snowy peaks. Or simplier for the emotion to catch the aspects of everyday life, as true Romans, more authentic and sincere, and also to venture off the typical tourist paths. Our drivers and tour leaders are experienced bikers, able to cope with all weather conditions! Our guests can sit in the back seat of the Vespa, relax and enjoy the tour. Motorcycle enthusiasts who want to drive (experience with driving a motorcycle or scooter is always required) can rely on our tour leaders and their helpful advices. In case it starts raining - probably a light drizzle – no worries! Raincoats are already under your seat. Obviously it is a good idea to have some protection such as gloves and scarf, but nothing extreme.